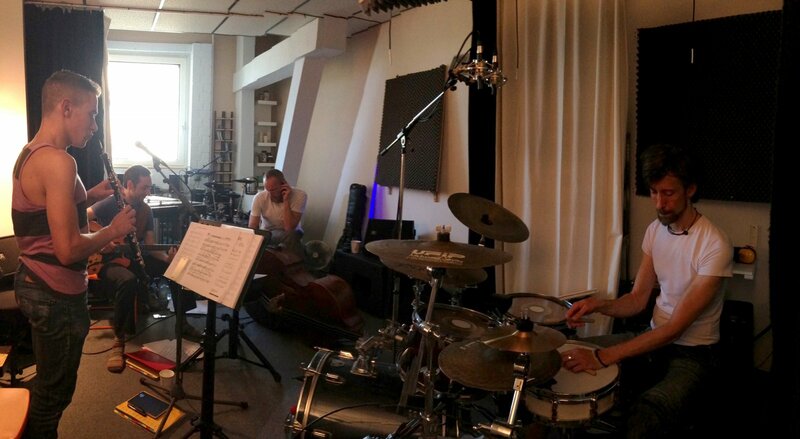 I recently joined the band of fabulous Jazz singer Anna Margolina for a studio session and some live gigs in Berlin. Here are some very short impressions. I had met guitar player Guido Saremba, who plays with Anna for many years, at the JazzLab sessions, Potsdam, where I played with my friends Kai Mader and Nicolas Schulze. We decided to meet for a rehearsal at Delicious Drums, to play the recording session the day after and shortly after that to play our first gig. Simple as that. Big fun. 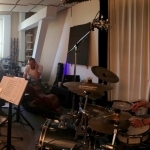 For the recording we had Anna Margolina on vocals, Demetrios Karamintzas on oboe, Guido Saremba on Guitar, Martin Rose on Double Bass and myself on drums. Copyright © 2019 by Thomas Leisner. All Rights Reserved. Subscribe to Thomas Leisner's RSS feed. Made by ThemeSweet. Proudly powered by WordPress.